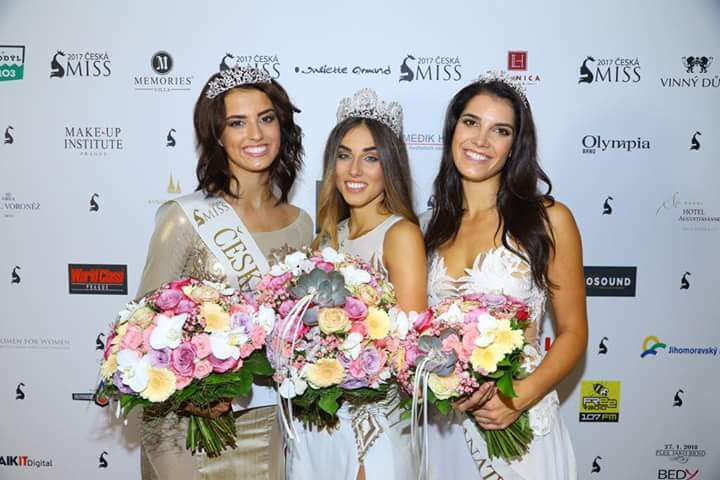 21 year old Michaela Habánová from Zlín became Ceská Miss 2017 at the recently concluded finale of the 2017 edition of the national pageant of Czech Republic – Ceská Miss 2017 (Czech Miss 2017). Michaela emerged as the winner and was crowned Miss Universe Czech Republic 2017. She succeeds and was crowned by Andrea Bezdekova, and will now go on to represent her country in Miss Universe 2017. She also won Miss Online award at the finale. 19 years old Iva Uchytilová from Hlinsko was Ceská Miss Earth 2017 (Miss Earth Czech Republic 2017). She will now travel to Philippines in a month for Miss Earth 2017 competition. .
23 years Tereza Vlčková from Zlín was named Ceská Miss Supranational 2017 (Miss Supranational Czech Republic 2017). She will now represent Czech Republic at Miss Supranational 2017 contest to be held in Poland in December hoping to be crowned by Srinidhi Shetty from India.